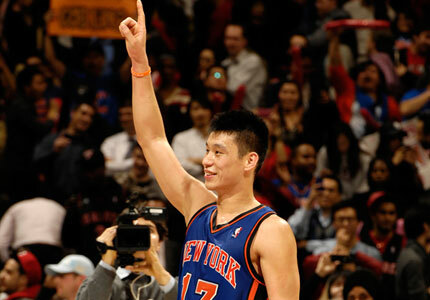 Jeremy Lin has captured the imagination of the basketball-following world over the past two weeks. He has even, in a Tebow-like way, transcended the awareness of mere fans and made it into the public eye. David Brooks of the New York Times published an article today called The Jeremy Lin Problem in which he attempts to explain the tension between the morality of sports and the morality of religion and Christianity in particular. Brooks brings up and explores a difficult set of questions, ones that Christian athletes and sports fans truly ought to consider. However, in so doing, he creates (or at least propagates) some false dichotomies and simplistic points of view. “The moral universe of modern sport is oriented around victory and supremacy. The sports hero tries to perform great deeds in order to win glory and fame. It doesn’t really matter whether he has good intentions. His job is to beat his opponents and avoid the oblivion that goes with defeat. The modern sports hero is competitive and ambitious. (Let’s say he’s a man, though these traits apply to female athletes as well). He is theatrical. He puts himself on display. He is assertive, proud and intimidating. He makes himself the center of attention when the game is on the line. His identity is built around his prowess. His achievement is measured by how much he can elicit the admiration of other people — the roar of the crowd and the respect of ESPN. “Ascent in the sports universe is a straight shot. You set your goal, and you climb toward greatness. But ascent in the religious universe often proceeds by a series of inversions: You have to be willing to lose yourself in order to find yourself; to gain everything you have to be willing to give up everything; the last shall be first; it’s not about you. Brooks makes some intriguing points, but fails to correctly diagnose the tensions that exists. At first blush, Brooks seems to be on to something with the tension between competition and humility. But I think he mischaracterizes the nature of true and upright competition. The truest forms of competition are not those which seek to humiliate another person or self-aggrandize. The truest forms of competition are those in which multiple parties are all pursuing excellence in the same field with the goal of reaching a certain aim first. It is the human heart that turns this competition into a pursuit of vanity, self-glorification, and humiliation of others. Much of what Brooks describes as the goal of the modern sports hero is simply a cultural emphasis on sinful attitudes, not the true nature of sports or heroes. And it is the human heart that makes his particular emphasis on sports puzzling. If one was to carry out the logic of his argument to its extent there would be the same tension between Christianity and gaining promotion in any field because it would be succeeding in the place of others with the same goal. There would be tension in starting a small business and seeking to become profitable because other small businesses are also seeking to succeed and are, therefore, the competition. There would be tension in acquiring assets in any business because every asset acquired cannot be acquired by anyone else. Brooks smelled something that stinks. He is on to something because the tension does exist, but his conclusions miss the mark. I believe there is tension present in the world of Christian athletes. But it is not a tension unique to that situation. It is simply an expression of the tension that exists in all our hearts all the time – that of seeking to glorify myself rather than glorify God. Christians can be the best in their field. They can be, therefore, better, than others at certain occupations or tasks. The tension exists when we consider the biblical commands to pursue humility and consider others better than yourself. But tension does not correlate to contradiction. 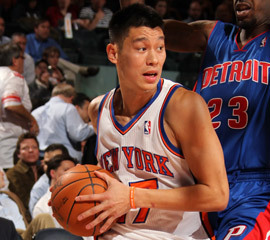 The tensions and temptations Jeremy Lin faces are exacerbated by his celebrity status and made obvious by the base reality of team sports as a competitive endeavor. But he is not required to, therefore, be a humiliator of others or a theatrical self-promoter. He is required to pursue excellence in the profession of basketball. Excellence is what all followers of Christ are called to pursue no matter the endeavor. God gave us talents and we are called to use them – for his glory, not our own. And let us pray that Jeremy Lin continues his faithful pursuit of God-honoring humility in the midst of his God-honoring basketball excellence.